SWMPC | What Can You Do To Protect Water Quality? What We Do Home>Environmental Planning>Watersheds, Water Quality & Wetlands>What Can You Do? Click play below to hear radio ads on ways to help improving water quality! Never DUMP anything down a storm drain. Be sure to keep leaves, trash and debris out of storm drains too. Report any type of water pollution by calling the Pollution Emergency Alerting System Hotline at 1-800-292-4706. For immediate and obvious threats to public health/safety call 911. Plant rain gardens and natural shorelines to filter polluted runoff. Click here to view the Garden Designs for Homeowners booklet. 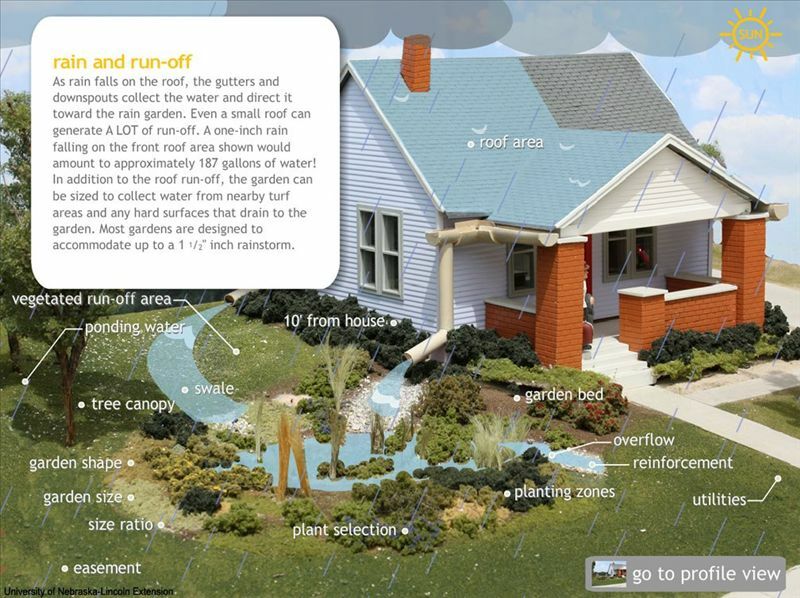 Click here to learn more about Rain Gardens for your yard. Learn more about Natural Shorelines for Inland Lakes. Check for and fix oil leaks in mechanical equipment (ex. automobiles and lawn equipment). Compost your yard waste and food waste into good gardening soil. Use environmentally friendly, biodegradable, septic safe household cleaners and soaps, instead of toxic chemically based ones. Install a water-efficient shower-head. They're inexpensive, easy to install, and can save you hundreds of gallons of water a month. Close any abandoned wells on your property. They can act as conduits for contamination of groundwater. Above and under ground fuel storage tanks are a major source of contamination. Check both regularly for leaks. Clean, Drain, Dry. That is the slogan to preventing the spread of aquatic invasive species. With many of us going out on the water this summer, take a few moments to do your part to protect this valuable resource. Without your efforts, your favorite swimming or fishing spot could be changed forever. Click here to view a video to learn more! or click here to get more tips! Click here to view ways to protect water quality! Click here to view a presentation on rain gardens in southwest Michigan! Set the water level on your washing machine to match the load amount. Run the dishwasher when it is full and not partially full. Purchase water efficient appliances. Learn more. Learn how to worm compost! Clean Boats and Equipment to prevent aquatic invasive species! What can we do to improve the infiltration of groundwater? Vegetate bare spots in your yard or plant a vegetable garden. Plant native, drought tolerant, erosion-controlling ground covers instead of lawns to reduce pesticide, herbicide, and fertilizer runoff. For more information on using native plants click here! Join the Southwest Michigan Water Quality Partnership by clicking here! This page last updated on 1/10/2019.